Be an Information Technology Officer | Apply Now! 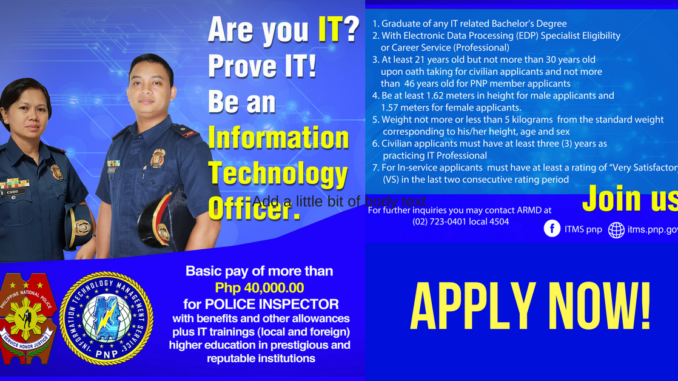 If you are looking for an IT job, you may want to consider to be an Information Technology Officer at the Philippine National Police (PNP). The basic pay is more than PhP 40,000.00 for Police Inspector with benefits and other allowances plus IT trainings (local and foreign) higher education in prestigious and reputable institutions. 1. Graduate of any IT related Bachelor’s Degree (BS Information Technology, BS Computer Science, BS Information Systems, BS Computer Engineering, and Others). For further inquiries, you may contact the Administrative and Resource Management Division (ARMD-ITMS-PNP) at (02) 723-0401 local 4504. 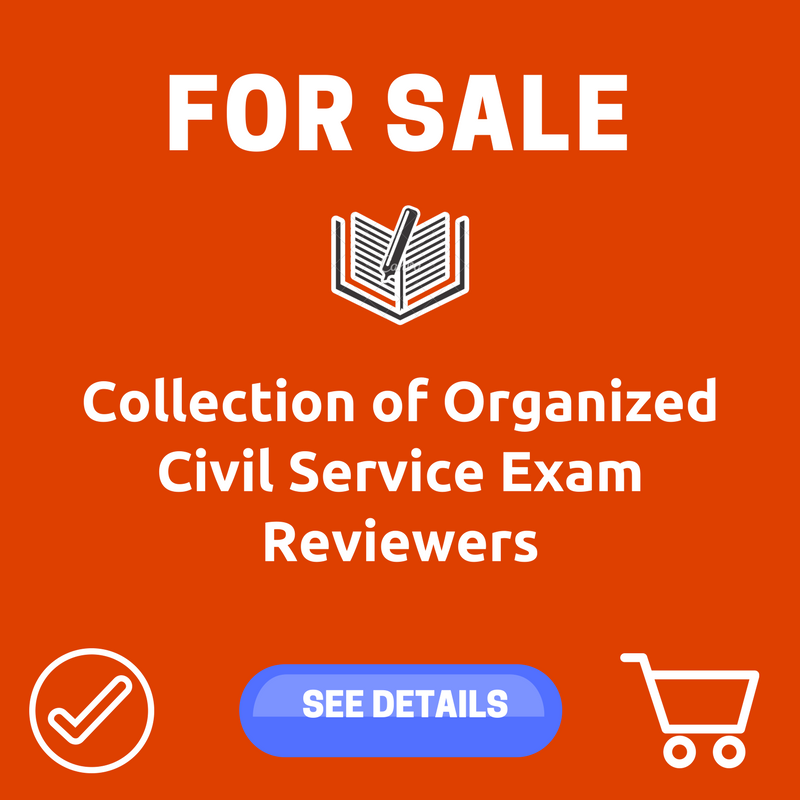 Note: All interested applicants may submit one application folder (RED) with white tabbings containing the documentary requirements authenticated by the issuing office at the ITMS Administrative Office. good day! Where will I send my resume?